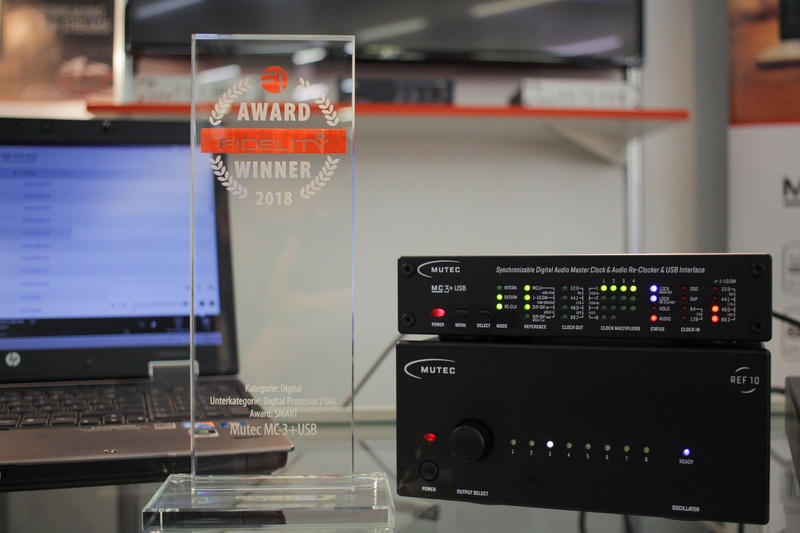 Der MUTEC MC‑3+ Smart Clock USB wurde in diesem Jahr mit dem neuen Fidelity Award ausgezeichnet. 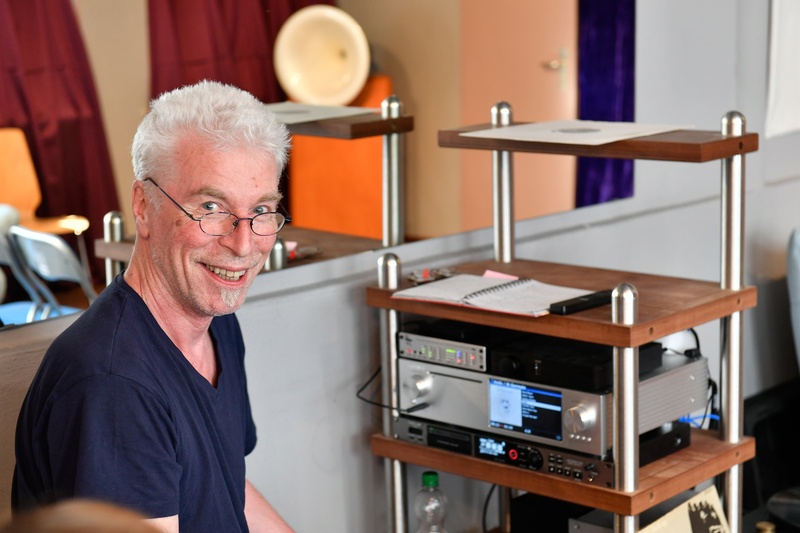 Mehr Informationen zu dem außergewöhnlichen Re-Clocker und USB-Interface finden Sie hier. The relaxed environment at the MUTEC booth was the ideal meeting point for detailed discussion with existing distribution partners and end users. 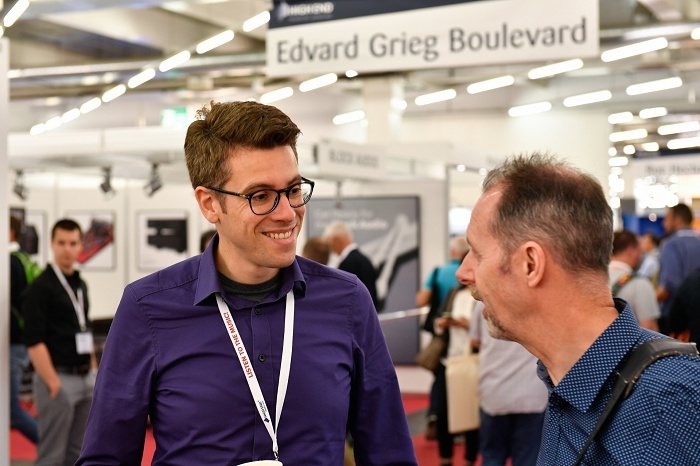 It was great to meet so many of you face to face! An important goal for the show was to establish new business relationships and we are excited about all the new contacts that we were able to meet and share the latest news about upcoming MUTEC products with them. 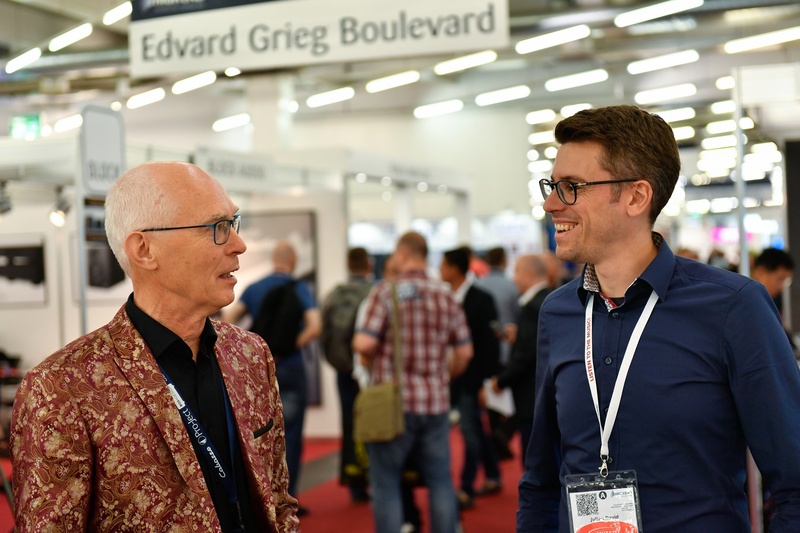 Many thanks to all the visitors, trade press and business partners for four days of inspiring audio talk. 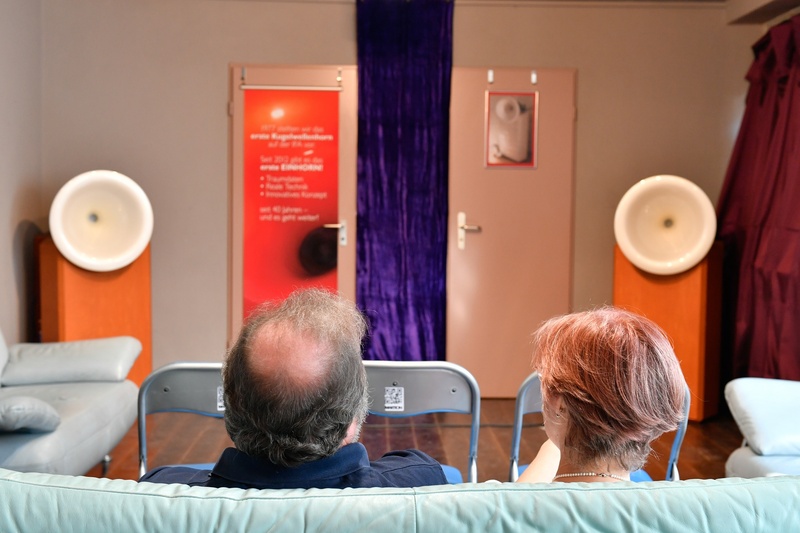 In particular, we would like to thank our partners at Fidelity Redaktion, LowBeats, Lehmannaudio, Hifi Statement, Martion Audiosysteme, Meze Audio, Amphion Loudspeakers and Roon. A winning combo: the MC‑3+ Smart Clock USB externally referenced to the REF 10 master clock. 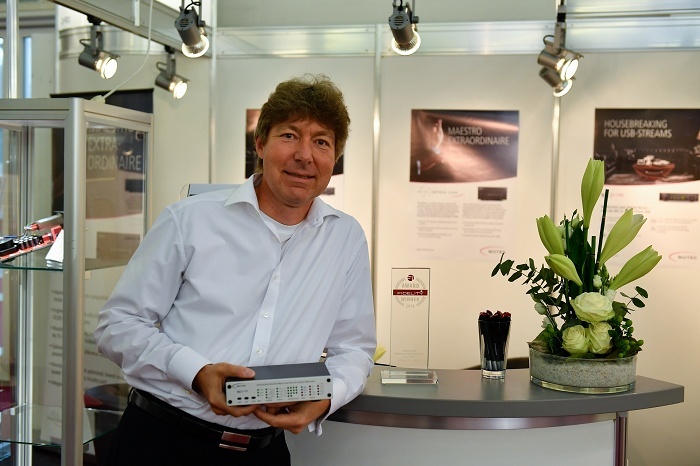 MUTEC CEO Christian Peters with the Fidelity Award 2018 for the MUTEC MC‑3+ Smart Clock USB. 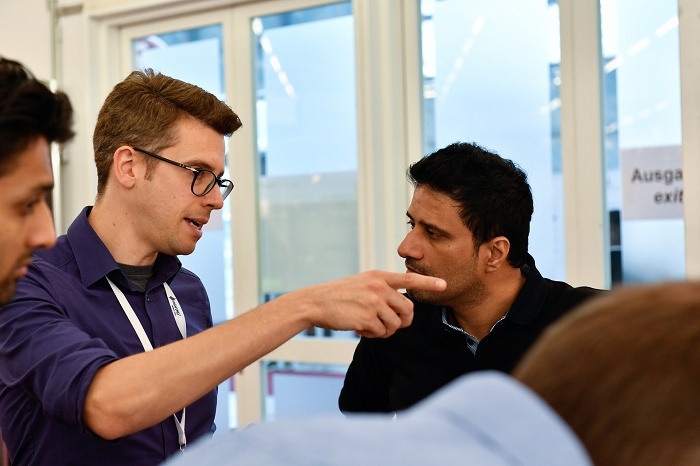 MUTEC CEO Christian Peters engaged in one of the many great conversations with our customers and customers to be. 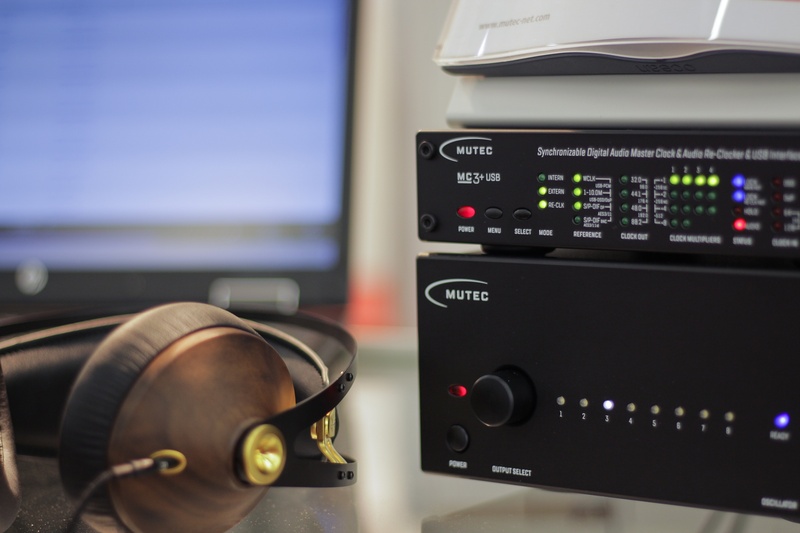 A great pairing: the MUTEC MC‑3+USB with the 99 Classic headphones by Meze Audio. Find out more about the MC‑3+USB here. Heiner Basil Martion of Martion Audiosysteme with his combo of the MUTEC REF 10 and the MC‑3+ Smart Clock USB. One of the best playback systems we heard at the show: A pair of Martion Audiosysteme horn systems driven by a digital system with the MC‑3+ Smart Clock USB and the REF 10. 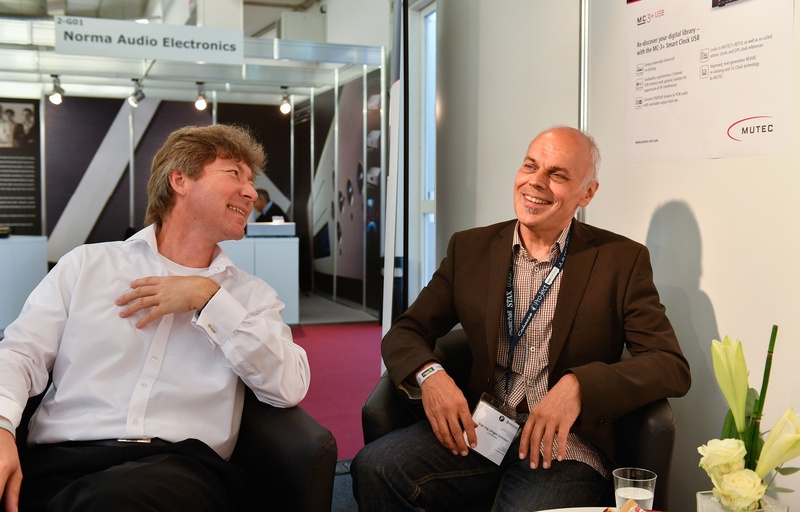 Always great to have the nice folks from LowBeats at the booth: editor Jürgen Schröder and MUTEC CEO Christian Peters having a good time. 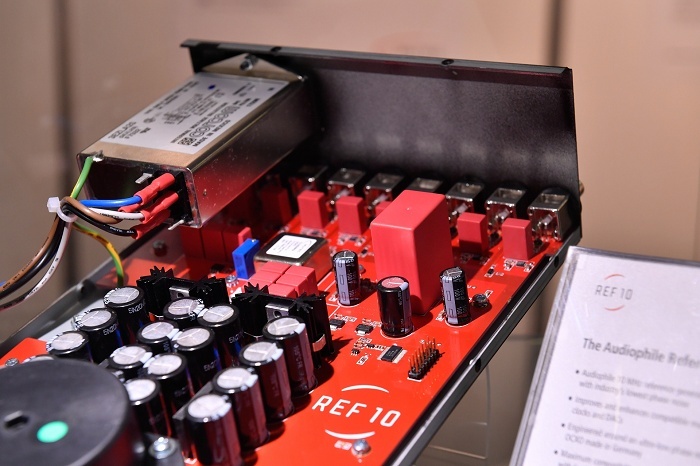 Detail shot of the clean circuit board layout of the MUTEC REF 10. 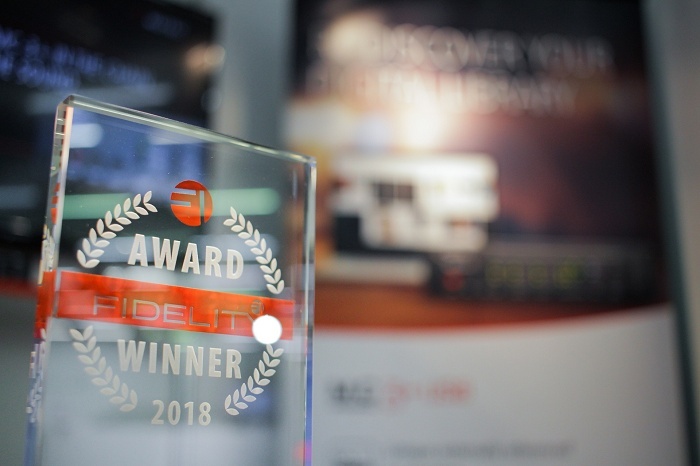 Find out more about the REF 10 here. 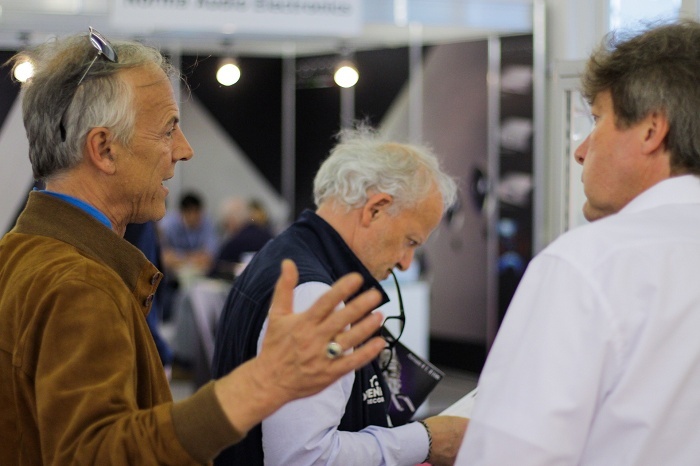 MUTEC's marketing specialist Julian David explaining the benefits of the REF 10 reference clock. 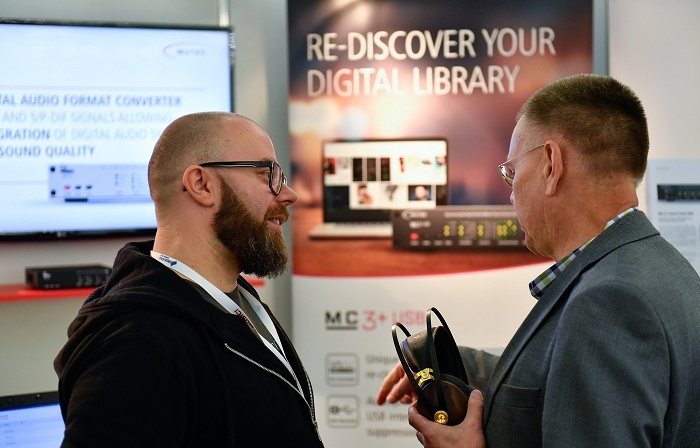 MUTEC's sales specialist Tom Porcell demonstrating our listening setup at High End 2018. 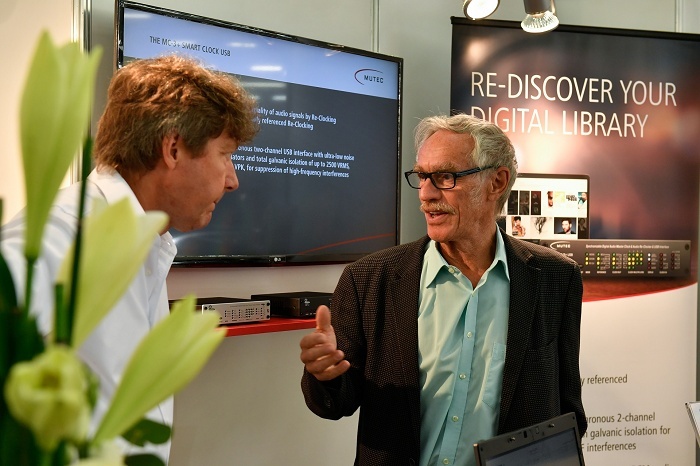 MUTEC's Julian David having a chat with Lundahl Transformers' Per Lundahl at the MUTEC booth.